OAK GROVE — Spring is here and with it comes Spring cleaning around the home and the West Carroll Chamber of Commerce along with the Town of Oak Grove and West Carroll Parish Police Jury urge you help out the environment by cleaning up litter along our roads as well. The West Carroll Chamber along with the town and parish governments have declared March as litter awareness month. 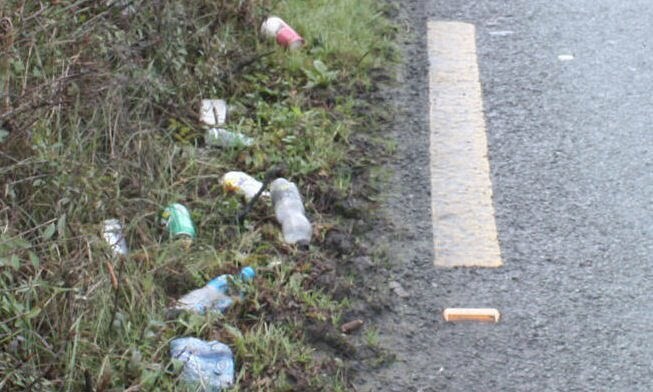 Litter is not only an environmental problem, it is also a problem for economic development. In recent years Northeast Louisiana missed out on an opportunity for the development of an automobile manufacturing plant with one of the biggest factors being the litter along the Interstate 20 corridor when the developers were touring the area. According to the National Cooperative Highway Research Program, Louisiana ranks 45th on its list of cleanest roadsides. Vermont is ranked 1st and Mississippi 50th. At a recent economic development meeting, Louisiana Secretary of Economic Development Stephen Moret reported that litter in the state remains one of our biggest obstacles in economic development. He reported that in 2010 the state issued over 1,000 citations for littering, but this effort seems to not be making a dent into the issue. The Board of Directors of the West Carroll Chamber hopes by bringing these issues to light during the month of March that this may inspire the people of West Carroll to take a proactive approach to this issue. In the Town of Oak Grove there is a $291.50 fine for littering and the Chamber urges everyone to please report anyone you see committing this act by calling the Sheriff’s Office at 318-428-2331. If everyone works together, we can make a difference.